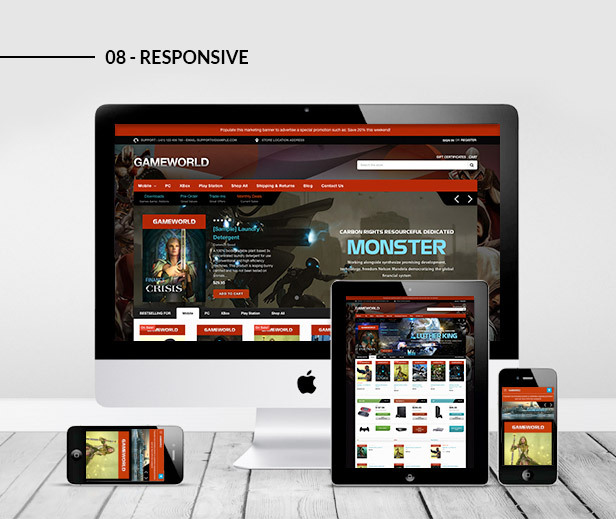 Aimed at the gamers niche, Gameworld - Game Store Responsive BigCommerce Theme is a truly outstanding option if you wish to create your own gaming website. 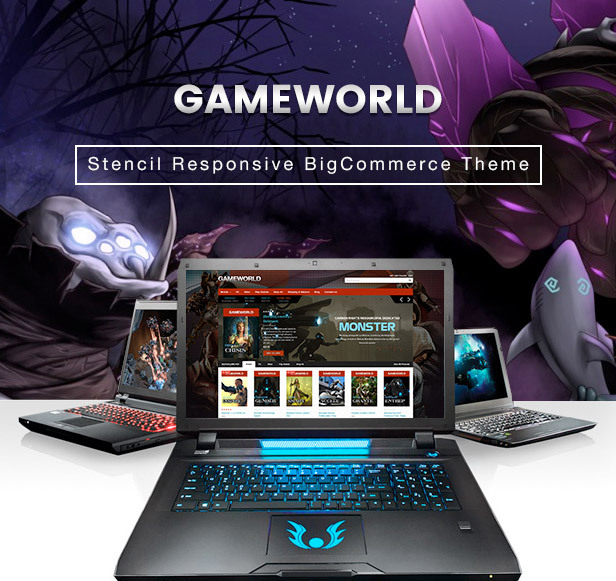 Built with Stencil Framework - one of the most flexible and functional, powerful base, Gameworld is crafted to meet your most exacting expectation which is well suited to build an unique, modern game related ecommerce store. What makes this theme unique among others is cleverly constructed with stunning filterable gallery, you will have for showcasing your products. With glossy and crisp flat design styles - often focus on practicality and efficiency and makes your site completely responsive on different kind of devices such as desktops, smartphones, tablets. Using the best SEO practice and a clean code, Gameworld is lightweight and beautifully crafted to provide your audience an awesome user-experience and drastically increase your website rankings. Aside from the overwhelmingly prebuilt product layout modules, it’s also supplied with multiple banner styles that makes your store extremely beautiful, innovative and eye-catching. The built-in slideshows on the homepage enable you to display all your products and special offers in a very appealing way. Thanks to the integrated mega menu functionality, it allows you to place as many useful and informative links to your collections making a professional and striking online shops. It couldn’t be easier to customize this superb template since it loaded with tons of powerful theme options with completely coding-free experience. In addition, this theme is also seamlessly updated in order to make it compatible with the latest BigCommerce versions. 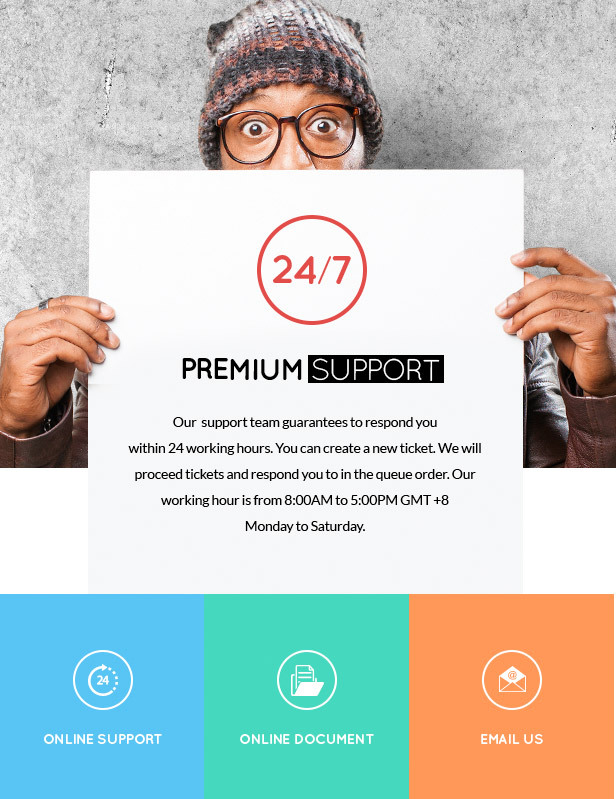 Other notable features integrated into this theme are: offerings trouble-free services, Positive, Hardworking, and enthusiastic support mindset. 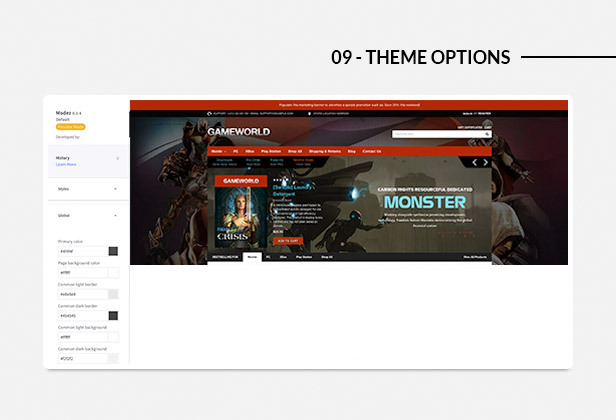 Gameworld BigCommerce theme is tested and QC passed by the official BigCommerce technical staff. Built with Stencil framework, latest version and update to date. Compatible with BigCommerce latest version. Responsive web design (RWD): Support mobile, tablet, small screen desktop and large screen. Mega menu: let you show categories menu in multiple columns. Products by specific category block let you show up products by a specific category, with new, bestselling, featured and top rating sorting tabs. Product columns by specific categories block can show up products in columns, each columns is a specific category which you configure easily. New products, popular products, best selling products blocks. All these blocks can be configured to show up as grid, carousel, or column listing. You can also configure number of products, number of columns to display. 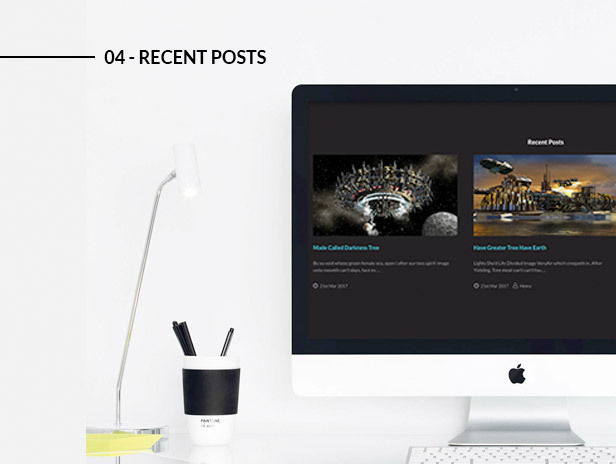 From our blog is a section which show the latest posts from your blog automatically. Various banner styles and banner sections are pre-made ready to use. Just input your heading, content, button, link and image you want to show. No programming required. No code change. Images carousel or brands carousel let you show brands images in carousel slider. Footer supports to show your store info, address, links and your own custom links. Turn on/off any block in the theme options. Category page, products detail page, blog, post details, contact us, and all other pages are well styled precisely and pixel perfectly. All static content can be edited, show on/off in the theme options panel and in the language files. 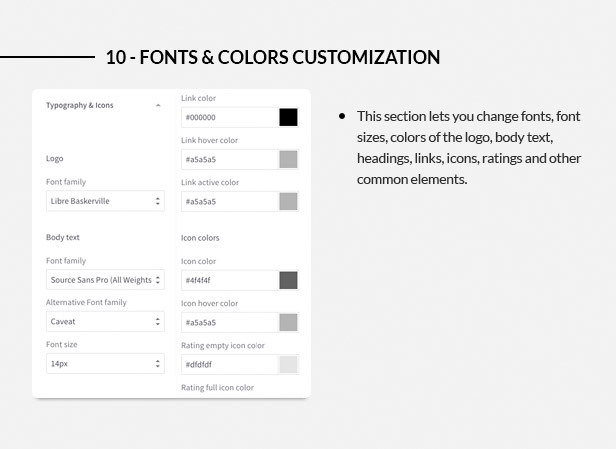 All content blocks or sections can be rearrange in the theme options without editing the source code. 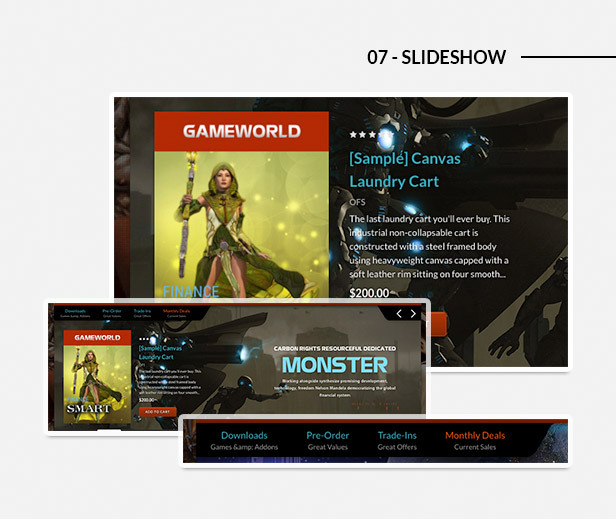 Gameworld theme supports multi-languages, multi-currencies and all other features which BigCommerce provides. The design is glossy or flat style, best suitable for game store, entertainment store or digital, high-tech stores. Even classic or modern style can be used. 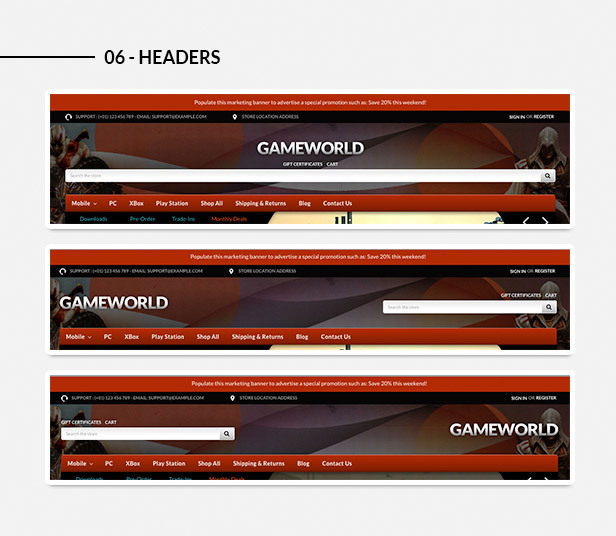 Gameworld theme has detailed user guide to help you install and customize the theme for your own purposes. Installing the theme just takes a few minutes no technical required.